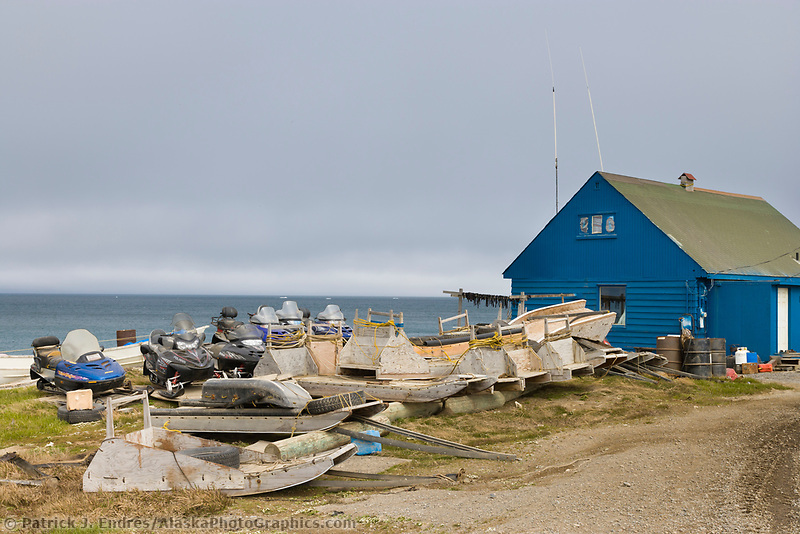 Inupiaq village of Utqiagvik (Barrow), Alaska, along the Arctic ocean. Canvas wraped around a wood frame. Dye infused aluminum metal. Both ship ready to hang.